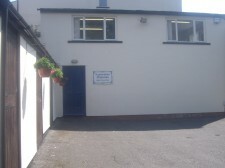 Restoration Materials is a small family run business in Bury, Lancashire. Initially formed in 1985 to complement its sister company Horological Solvents. It provides an extensive range of products for the restorer including wood and metal finishing, floor coatings, gilding materials, clock and barometer parts, furniture / cabinet brassware & fittings, desktop leathers etc. 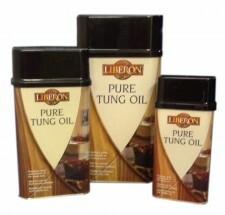 Our equivalent to : Liberon 'JADE OIL' which has now been discontinued. Protective Oil displaces moisture and humidity from the surface of metals. It is ideal to "dry" metals and acts as a fixative after using Curator Antiquing Fluids. Leaves a thin invisible film on the surface, and can be used before waxing, oiling or painting. See Oil Finishes. 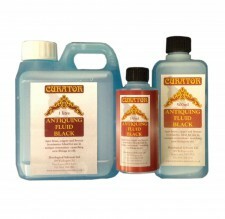 CURATOR ANTIQUING FLUID for brass, copper and bronze. Our equivalent to LIBERON TOURMALINE - (which has now been discontinued). 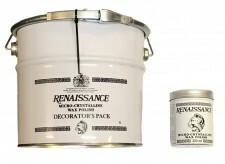 Available in Brown, Black, Bronze & Old English Brass. 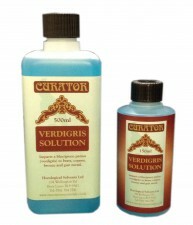 Within the Curator range we also have a Verdigris Solution and Rusting Solution. All available in 150ml, 500ml, 1 Litre, 2.5 Litre & 5 Litre sizes. See under section Metal & Marble / Antiquing for more information. Our website hosts an extensive range of furniture fittings (see Cabinet Hardware) which includes handles, locks, castors, hinges, escutcheons and much more - Take a look. Our range is expanding all the time, and if there is anything that you are looking for that is not on our website, please ask. If we haven't got it, we may know someone who does. Our hours of opening for personal callers is Monday - Friday (9am - 4pm). We have carparking facilities for our customers and easy access from the town centre's bus, tram and rail network. Why not visit us on a Wednesday or Friday, and you could combine it with a visit to Bury's World Famous Market, where you can buy a Bury Black Pudding ! !